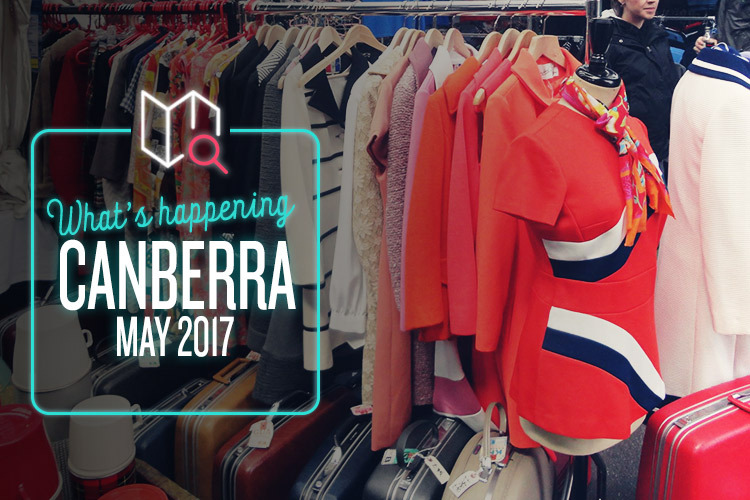 Whether you fancy a music festival or a great, big rummage sale, Canberra has you covered this month. Founded in 1994 and held annually since ’97, the Canberra International Music Festival is a unique exploration of the power of performance. It began as a chamber music event, but the modern line-ups include everything from classical jazz to world music. This year features such talented acts as the Simón Bolívar String Quartet, Orit Orbach, Ensemble Offspring, the Van Kuijk Quartet, James Morrison, Alexandre da Costa, and Lisa Moore, along with many others from all corners of the globe. You’ve never experienced live music quite like this, and you won’t want to miss the exceptional musicianship on display. It’s time for a very different kind of music festival, and one that’s been rocking its way across the country since the heady days of 2003. Groovin The Moo is a celebration of community spirit and kickass bands, with this year’s edition headlined by US punk stalwarts Against Me! and high-pitched UK wailers The Darkness. The rest of the roster is just as strong, with Northeast Party House, The Wombats, Hayden Change, Architects and Amy Shark just a few of the big names. There’s also tons of food, drink and competitions to enjoy, and the whole thing is shaping up to be just as awesome as ever. Fashion time! Frock Up Pop Up is a glorious explosion of vintage fashion, covering 150 years of gorgeous clothes and elegant styles. From stomach-squeezing Victorian dresses to cutting-edge modern designer labels, there’s no end of lovely stuff to browse and buy. Every decade of the 20th century is covered, so it’s the perfect chance to pick up a 20s flapper dress, a 60s miniskirt, or some wonderfully O.T.T 80s shoulder pads. A vast multitude of jewellery, accessories and textiles are available too, so this is an absolute must for anyone with a penchant for looking good. The simple things in life are always the best, and what could be more simple than piling up a suitcase with cool stuff and taking it down to a big old swap-meet? Suitcase Rummage is a great idea for a marketplace, and it’s always fascinating to simply wander about and take in the whole spectacle. You can find absolutely everything here, such as old records, handmade homewares, vintage toys, artwork, clothing, shoes, tasty treats, books, bric-a-brac, and anything else you care to imagine. You have to register if you’re going to bring a suitcase of your own, so remember to check the website for details. Happy rummaging!